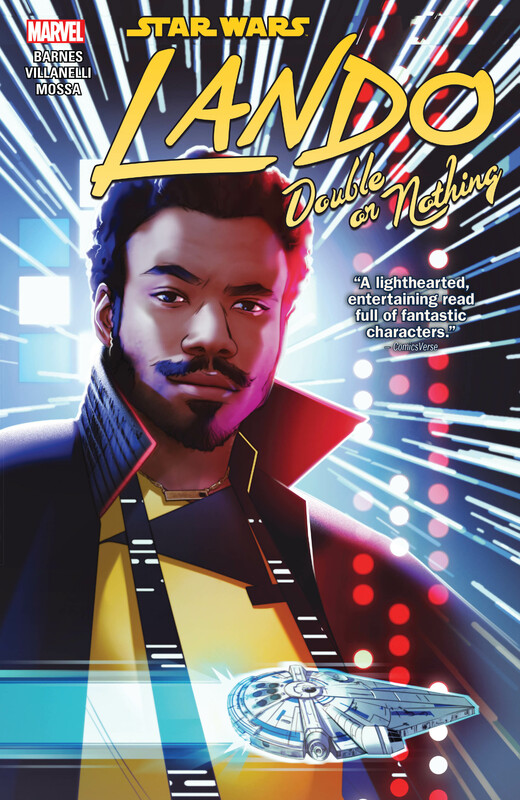 Collects Star Wars: Lando — Double or Nothing #1-5. Straight from the frames of the highly anticipated film Solo: A Star Wars Story swaggers a younger — and somehow even cockier — Lando Calrissian! 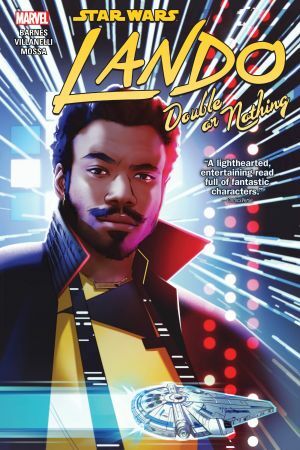 Before his days in the Rebellion, before he ran Cloud City, even before he lost the Millennium Falcon, comes this tale of Lando’s adventures and misadventures in search of love and money — leading right up to his appearance in Solo! 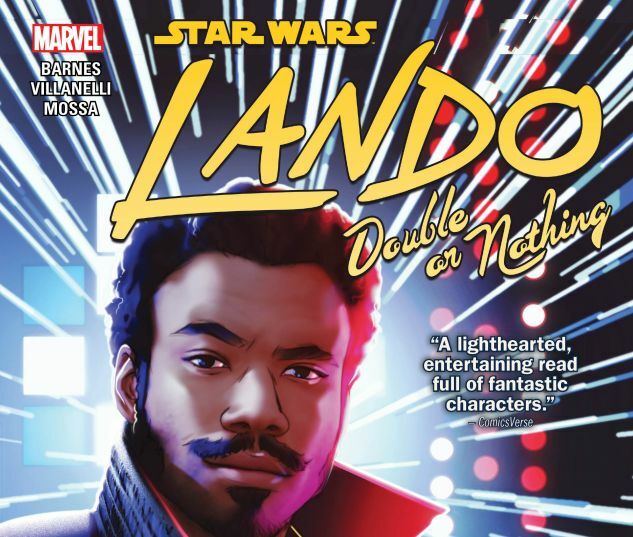 Lando isn’t one to stick his neck out…unless there are credits to be had. So when oppressed workers in a droid junkyard need his help, they’d better hope their freedom is worth something to him. But one of their number is out to turn Lando over to his enemies — and there are plenty of those. Will a galaxy of bad guys finally get their due against the ultimate thorn in their side?